I spent some more time this weekend hacking on the Ubuntu Accomplishments spec I blogged about recently. I just wanted to provide a little more eye-candy of some of the progress. (obviously a bunch of these are dummy ones). You can use the combo boxes at the top to choose which types of opportunities (e.g. Ubuntu Community, Ubuntu UK LoCo Team) you want to view, as well as their category (e.g. 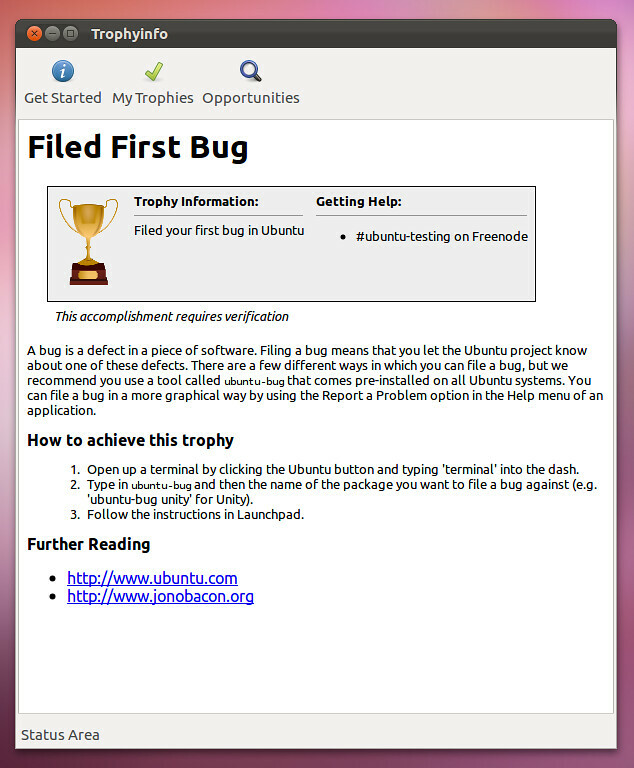 Ubuntu Community could have categories such as QA, Development, Advocacy). Some of the opportunities have padlocks on them. This means that you need to complete another opportunity before that one is unlocked. This helps provide more of a logical journey of things that you can do. Obviously this information can be improved (and particularly the links, they are just dummy links). We would also want to add nice things like clicking on an IRC channel and it loading in an IRC client. In the real implementation the scriptrunner would run as a service without you having to run the app to start it. I am pleased with the progress I am making. Next I want to get some more example accomplishments tied in and then I am going to start looking at building the verification service. Should be fun! This is nifty. Are there any plans to integrate this with UbuntuOne/openID? 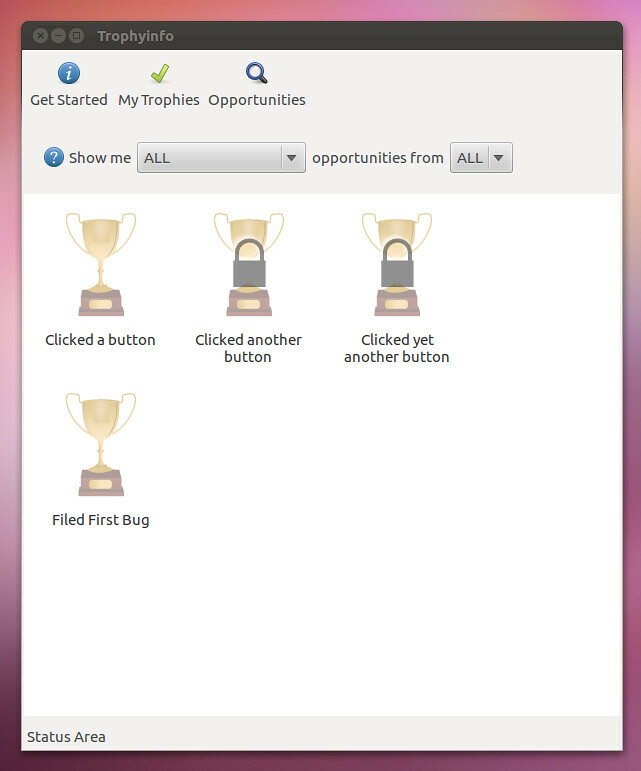 It would be a great way to produce “credentials” on the ubuntu forums, askubuntu, and so on to earn trust. 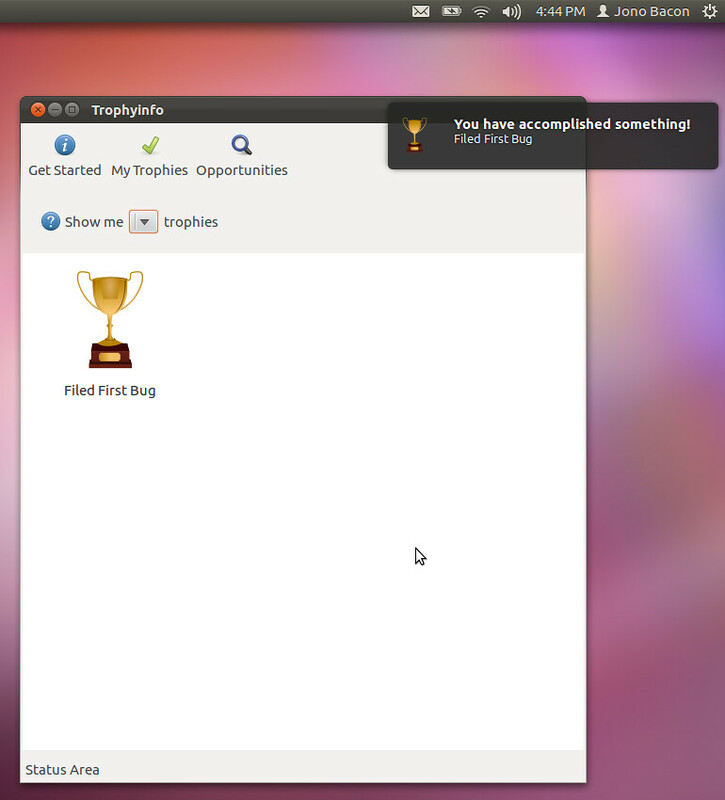 This is exactly how it will work – it will use Ubuntu One as a means to transport accomplishments to a server for verification, as well as sharing your trophies across all of your Ubuntu machines.